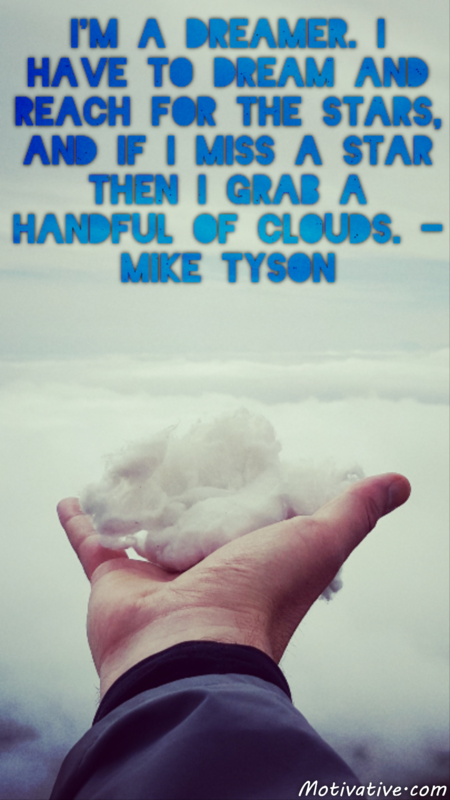 Mike Tyson has made mistakes in his life which he deeply regrets. He also has had overwhelming success. Today his life no longer is full of turmoil but of peace – people are allowed u-turns in life. As one of the best boxers of all-time – his attitude, dreams, goals & motivation were unstoppable. Reach high for where you want to be.